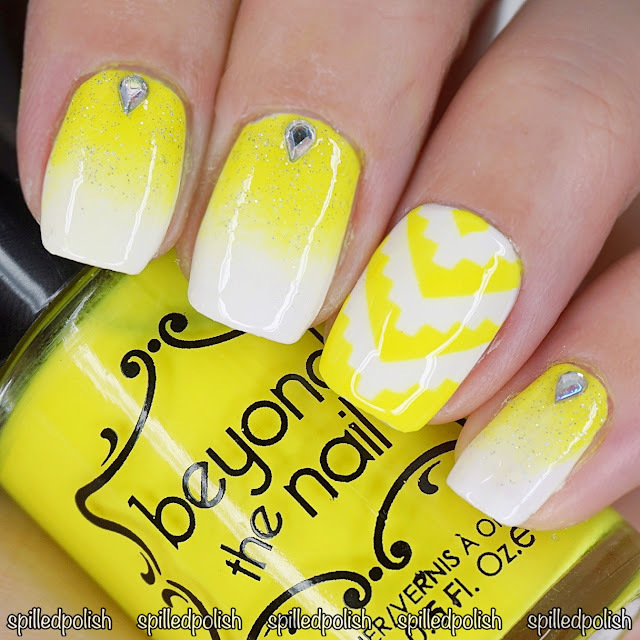 It's day 3 of The 31 Day Nail Art Challenge and today's challenge is Yellow Nails! I wanted to go bold and this neon yellow sure is powerful! I started by painting all my nails with Beyond the Nail - Bright White. 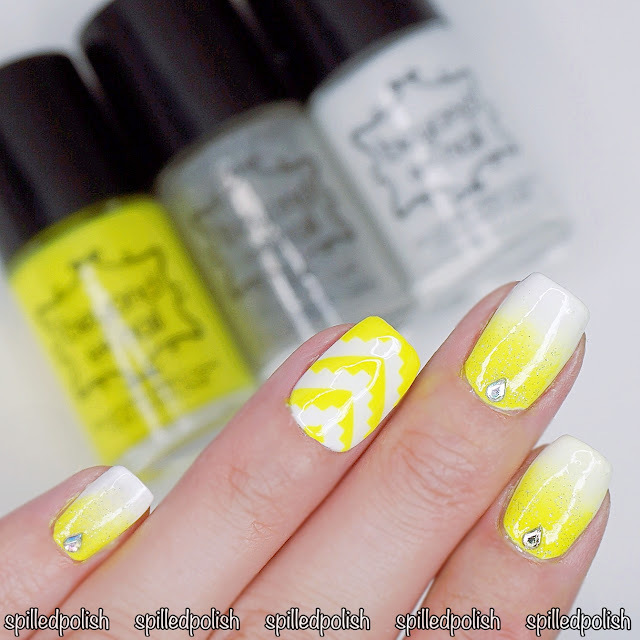 I got a makeup sponge and did a gradient on all my nails (except my ring finger) using Beyond the Nail's Neon Yellow & Bright White. When it was dry I lightly brushed on Beyond the Nail - Scattered Holographic Topcoat over the yellow part of the gradient. 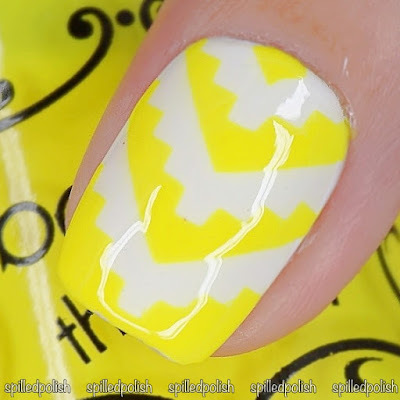 I placed some Aztec Half Chevrons on my ring finger and painted over the whole nail with Beyond the Nail - Neon Yellow. I immediately peeled off the nail guides while the polish was still wet to get the perfect outcome. I topped each nail off with PRO-FX - Quick Dry Topcoat and stuck on some teardrop rhinestones from LadyQueenBeauty.